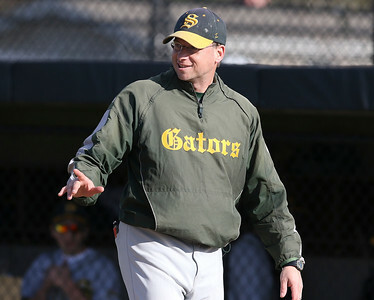 H. Rick Bamman - hbamman@shawmedia.com Crystal Lake South head coach Brian Bogda posted another win after the Gators defeated Dundee Crown 9-3 on Monday, April 17, 2017. H. Rick Bamman - hbamman@shawmedia.com Crystal Lake South's Luke Dunham pitches in the second inning Monday, April 17, 2017 aganst Dundee Crown. Dunham had six strike outs in the 9-3 win. 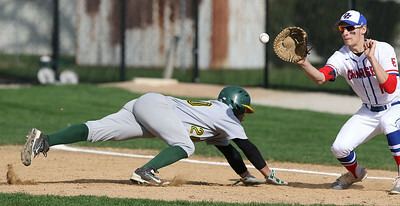 H. Rick Bamman - hbamman@shawmedia.com Crystal Lake South's Brian Fuentes dives back to first base before Dundee Crown's Conor Ryan can make the tag on a pick off attempt in the first inning Monday, April 17, 2017. 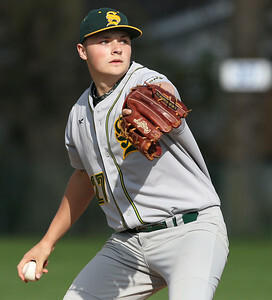 Crystal Lake South defeated Dundee Crown, 9-3. H. Rick Bamman - hbamman@shawmedia.com Dundee Crown's Erik Hedmark pitches to a Crystal Lake batter in the first inning on Monday, April 17, 2017. 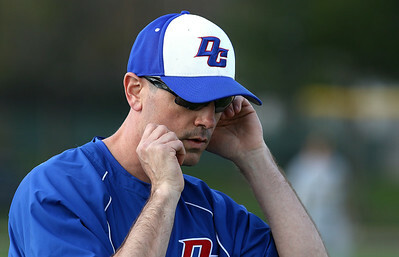 Dundee-Crown lost 9-3. 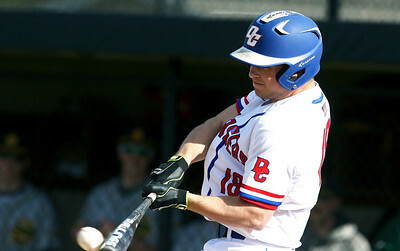 H. Rick Bamman - hbamman@shawmedia.com Dundee Crown's Erik Hedmark connects for a base hit in the first inning on Monday, April 17, 2017 in Carpentersville. H. Rick Bamman - hbamman@shawmedia.com Dundee Crown players Avery Lovaglia (from left) Ryan Denz, Sean Jay and Conor Ryan wait for play to resueme after an injury time out Monday, April 17, 2017 in the game against Crystal Lake South. H. Rick Bamman - hbamman@shawmedia.com Dundee Crown's second baseman Sean Jay throws to first after fielding a Crayst Lake SOuth grounder in the third inning Monday, April 17, 2017. H. Rick Bamman - hbamman@shawmedia.com Dundee Crown's head coach Matthew Mueller gives the signal to a batter in the third inning on Monday, April 17, 2017. 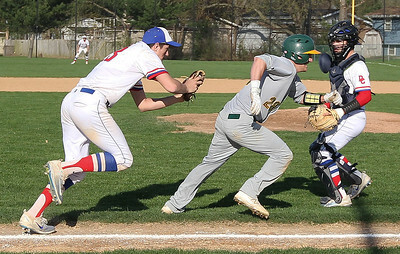 H. Rick Bamman - hbamman@shawmedia.com Dundee Crown's third baseman Avery Lovaglia (left) and catcher Jonathon Mays catch Crystal Lake South's Scott Skwarek in a run-down between third base and home in the third inning on Monday, April 17, 2017 in Carpentersville. Crystal Lake defeated Dundee Crown 9-3 behind the pitching of Luke Dunham. 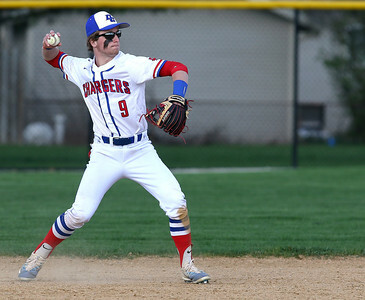 H. Rick Bamman - hbamman@shawmedia.com Crystal Lake South's Scott Skwarek throws to first after fielding a grounder in the second inning Monday, April 17, 2017 against Dundee Crown in Carpentersville, Crystal Lake South defeated Dundee Crown 9-3 behind the pitching of Luke Dunham. 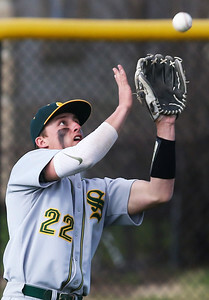 H. Rick Bamman - hbamman@shawmedia.com Crystal Lake South outfielder Michael Swiatly snags a fly ball in the third inning Monday, April 17, 2017 in South's win over Dundee Crown 9-3. 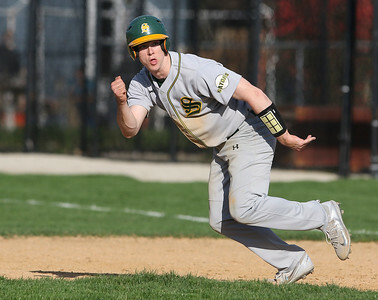 H. Rick Bamman - hbamman@shawmedia.com Crystal Lake South's Noah Tyrrell runs on the pitch in the third inning against Dundee Crown Monday, April 17, 2017 in Carpentersville. Crystal Lake South won, 9-3. 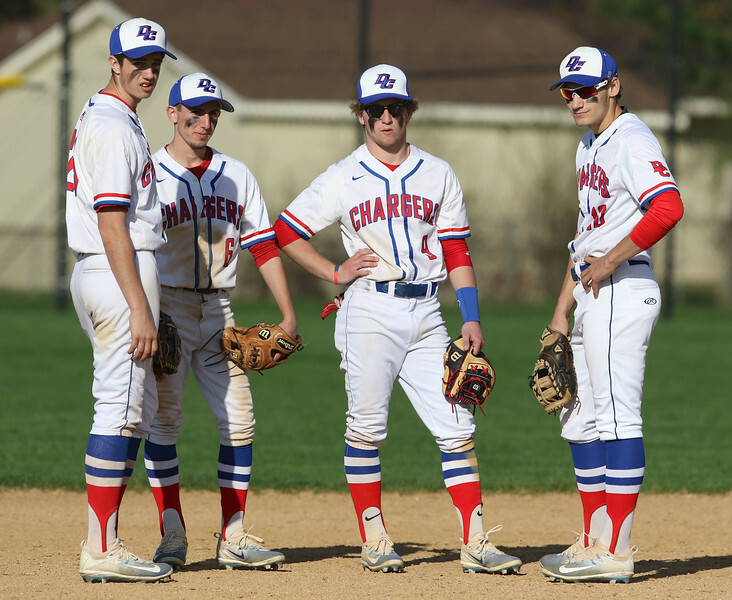 Dundee Crown players Avery Lovaglia (from left) Ryan Denz, Sean Jay and Conor Ryan wait for play to resueme after an injury time out Monday, April 17, 2017 in the game against Crystal Lake South.